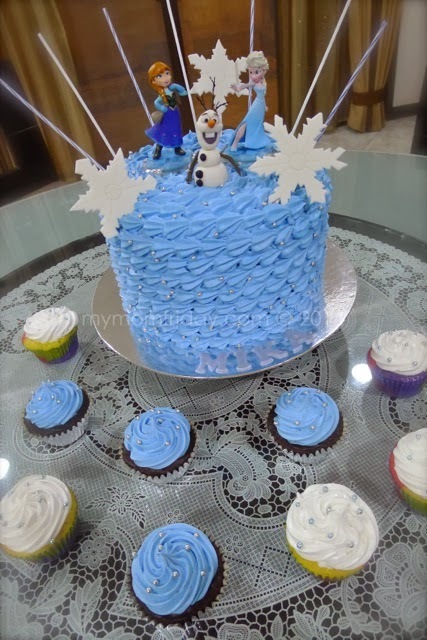 Remember I was just planning a Frozen-themed birthday party for the girl? That was last week. 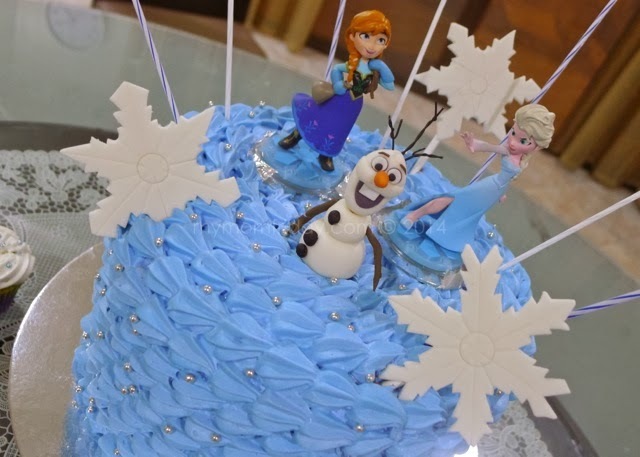 It did not turn out to be as "Frozen" as she wanted... it was not even meant to be a party, heeheehee! So, what did happen? 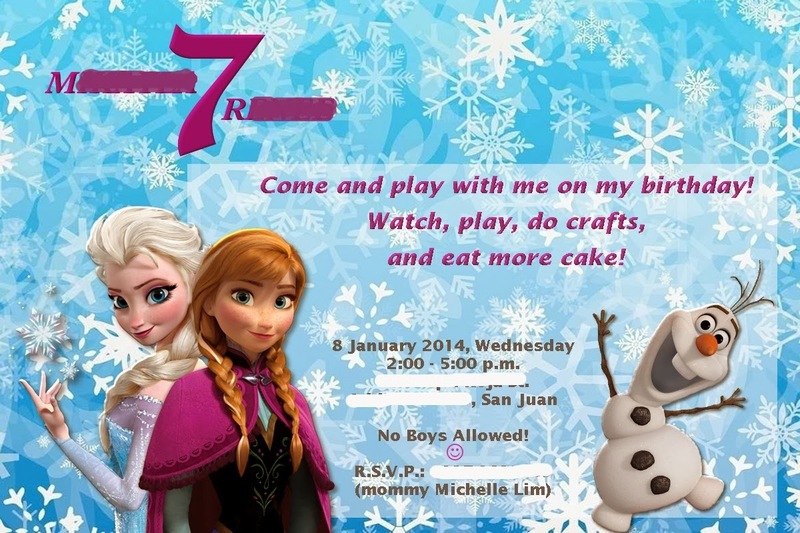 As promised, here's the 7th birthday play date of M with her classmates (note: no boys allowed), and how I almost pulled off a Frozen-inspired "party" at home. 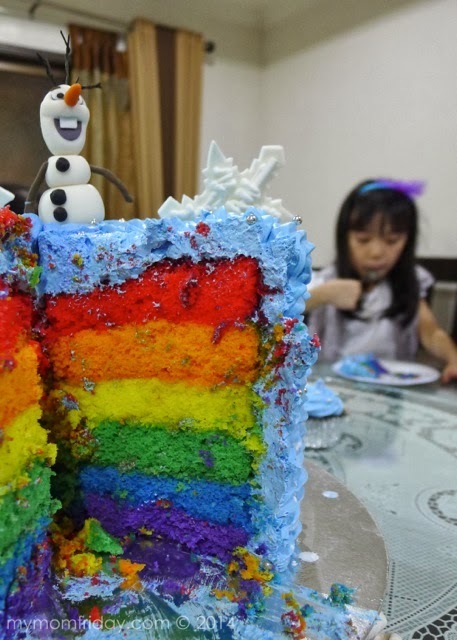 Last January 8, the girl treated her class to a simple lunch of Pancake House Pan Chicken and Spaghetti, and the most-requested rainbow cupcakes from Tazzy Cakes. We also invited all 10 girl classmates for a play date a home after school hours, which she has been requesting since last year. Thankfully, all the parents allowed the girls to come over. 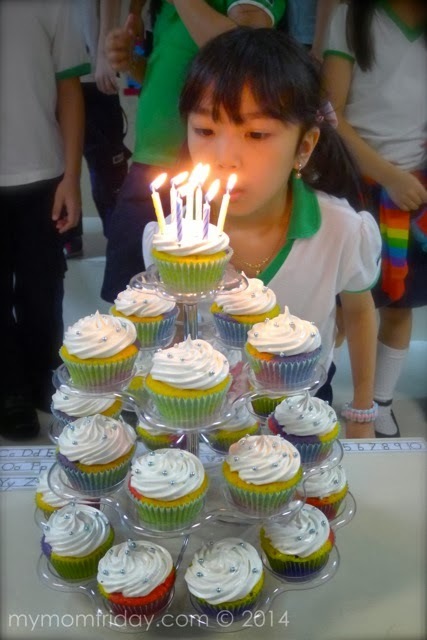 Wish granted for her 7th birthday. As a parent, I trust that my child will be safe and looked out for if he/she gets invited to a friend's home. I took this play date seriously because I want all the children to enjoy their stay, while the parents can be assured that they are in a clean and safe environment. From the floors to the walls, the kids' room to bathroom, food and utensils, pets to first-aid kit, everything has to be cleaned, disinfected, inspected - over and over until the battalion arrives. That's my responsibility for hosting this play date. This was the hardest part for me to think about. I only had less than a week to decide and plan for the celebration, so everything has to be quick and simple to execute. I only have one helper at home, and I know I cannot do everything we had in mind. It's a play date. As long as there are toys, they'll be fine, but I know that's not enough. Kids will surely play with whatever toy they fancy during their stay. 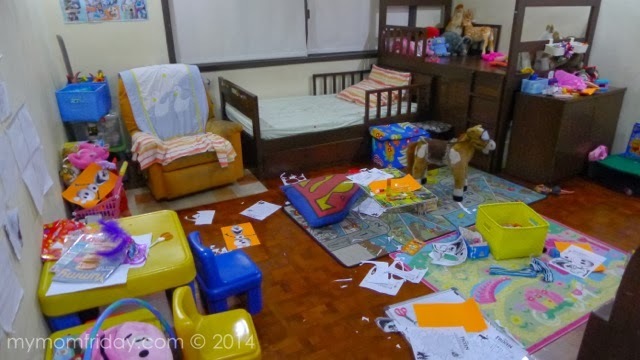 I just made sure everything is clean, took out toy sets and games they might like, and kept messy ones. They can entertain themselves, so that part I don't have to worry about. The girl has enough toys to share. Tip: Stick to the basics. Kids are simple. Adults complicate things. I don't want to over exert myself since I was not in the best of health that week. 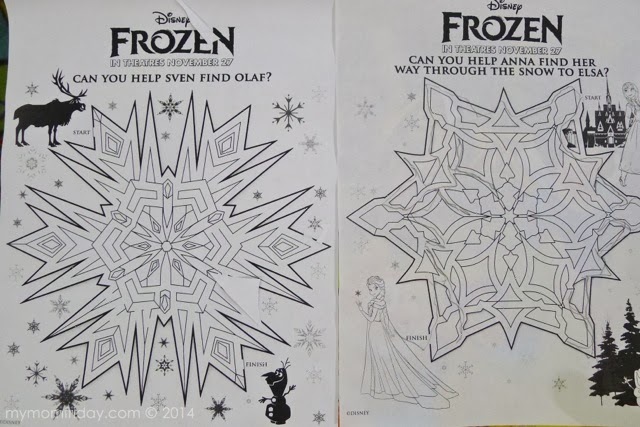 In keeping with the theme, I ended up going to this Disney website and found table activities for the kids' quiet time. I simply printed out and provided supplies and materials for them to use. 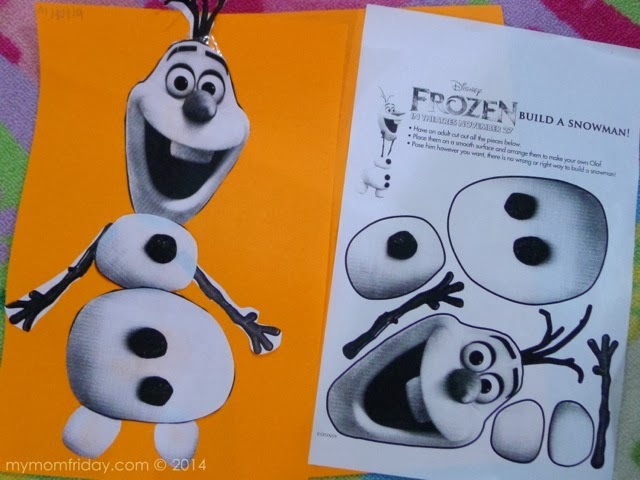 There were also fantastic ideas for a "Frozen" theme party from a website, like this pin the carrot nose on Olaf! My girl was actually waiting to do this with her friends. She knew I already bought white cartolina paper and orange paper, even token prizes for this simple game, but I just did not have enough time to prepare this that day. Food was the easier part. I had so many in mind I can't decide what to serve them. 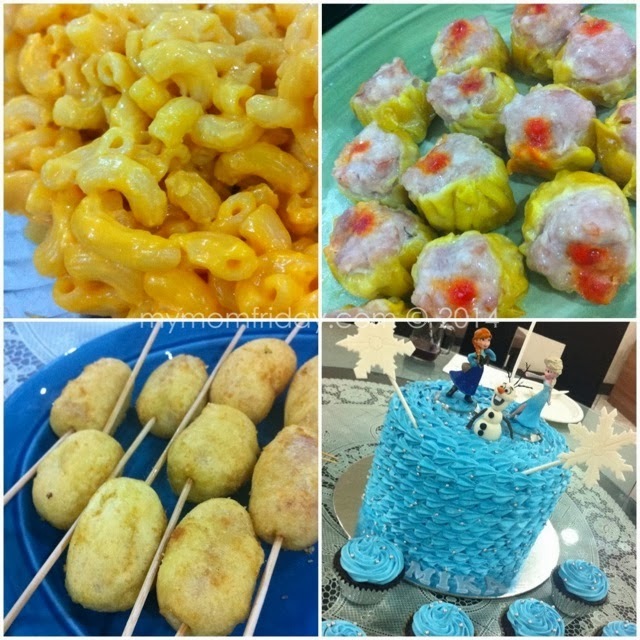 There was not enough time as well, to buy and prepare Frozen-themed goodies. I also asked the girl's approval for each one. Again, kids like it simple. Nothing over-the-top. As you can see on my collage, only four made it to the table. I was not able to serve the popcorn and chips, and completely forgot about the vanilla ice cream in the freezer!!! 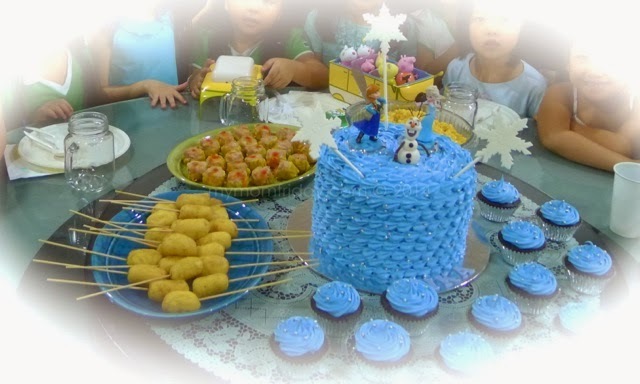 The main birthday cake was the centerpiece. 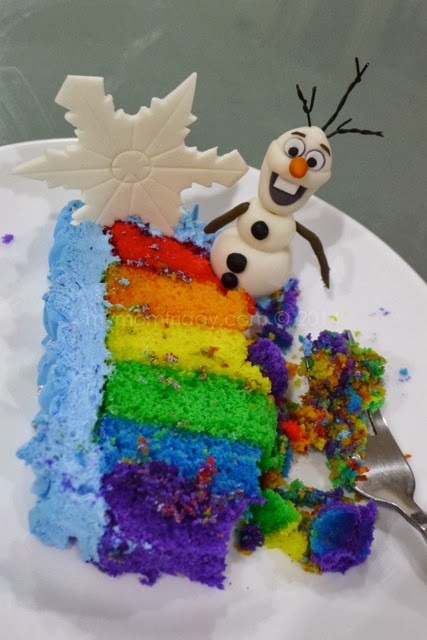 It's a rainbow cake with ice blue marshmallow icing, with silver candy beads, and actual Disney Frozen toy characters used as cake topper. This was as far as we can stretch it with the theme. 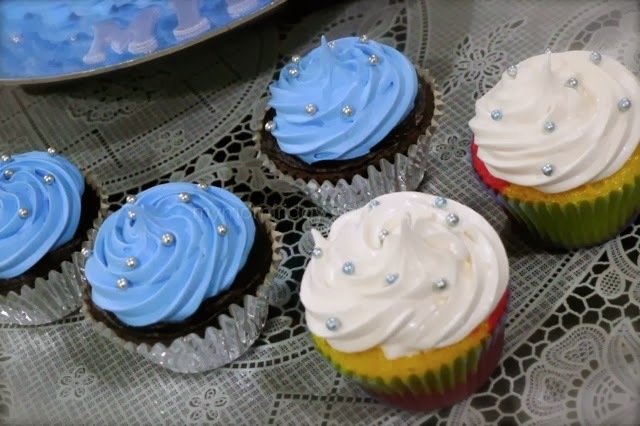 Again, I was supposed to make snowflakes cupcake topper, but no more time to do it. We have Elsa and Anna toy figures from our Disney Infinity Playstation game, plus decorative snowflakes and Olaf handcrafted by Cats of Tazzy Cakes. 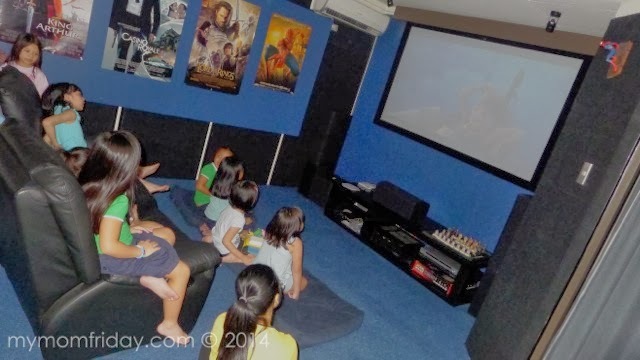 After playing and eating, it was time to relax and watch a movie - what else, but Frozen! One of the moms who fetched a classmate said it perfectly - it's a "sing-along movie"! 7 of the 10 girls have watched Frozen, memorized the songs, and sang along during their favorite sequence in the movie. They did not finish the movie since it was already late, and the girls left begrudgingly as their fetchers came one after the other. I would love to share the short video I took of them singing "Let It Go" with so much feeling, but it was just too dark. I have to say, the build up was perfect for the movie screening as it capped off this full-filled afternoon for the girls. This was most memorable for my girl, and I'm thankful to the parents for allowing their girls to come over and play. It was such a tiring day for me, but I enjoyed having them all - seeing them laugh, sing, and play, all to celebrate and be with M on her special day. She said she had so much fun and it was the best day ever. She even thanked me for allowing her to have this play date! That's my reward. Have you hosted a kids' play date? How did you do it?